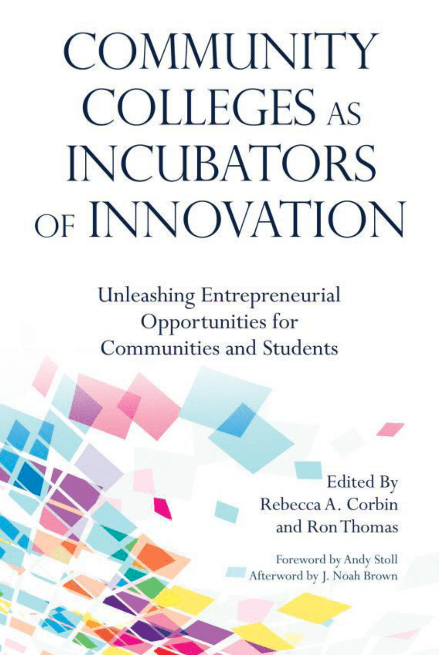 "Community Colleges as Incubators of Innovation: Unleashing Entrepreneurial Opportunities for Communities and Students"
NACCE has published a new resource for community college leaders who are seeking to engage or advance entrepreneurial ecosystems in their colleges and communities. Written by NACCE members, foundation and association executives, and entrepreneurial thought leaders, the topics span rural and urban ecosystems, innovation hubs, student outcomes, funding, mapping, community support and collaboration, to name just a few. *Receive 20% off your order by using the code CCIN20 at checkout. Offer expires 12/31/19, 2019. NACCE 2019 keynote speaker, Rodney Walker, is coming out with a new book in 2019. We will hear more from Rodney about his transformative entrepreneurial journey, as well as his new book, in October. You don't want to miss his session, so be sure to save-the-date for our annual conference! 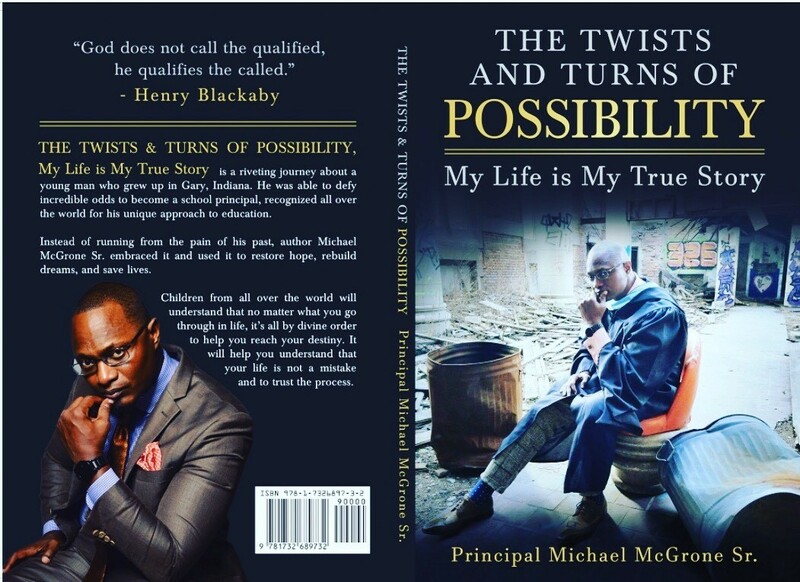 "The Twists and Turns of Possibility: My Life is My True Story"
NACCE 2019 video contributor, Principal Michael McGrone, published a book about his life and the hardships he endured and overcame. "This book is a riveting journey about a young man who grew up in Gary, Indiana. He was able to defy incredible odds to become a school principal, recognized all over the world for his unique approach to education. This book will take you on an emotional journey that will make you angry, laugh, cry and rejoice. Instead of running from the pain of his past, he embraced it and used it to restore hope, rebuild dreams, and save lives. Children from all over the world will understand that no matter what you go through in life, it’s all by divine order to help you reach your destiny. It will help you understand that your life is not a mistake and to trust the process – “God does not call the qualified, he qualifies the called." Principal McGrone is Rodney Walker's mentor and he will be sharing about the impactful work he has done through various mentoring programs with underserved youth. To learn more about his work, please visit www.principalmcgrone.com. 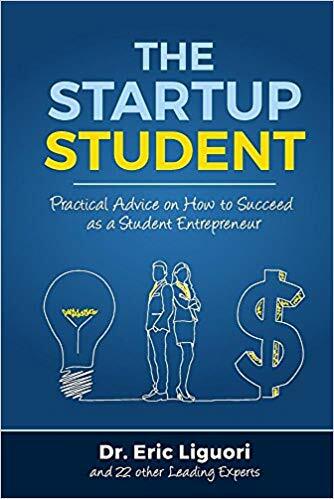 "The Startup Student: Practical Advice on How to Succeed as a Student Entrepreneur"
Written by NACCE friend and supporter, Eric W. Liguori, "The Startup Student" is a practical and tactical guide to help students make the most of their college entrepreneurship experience. With over 20 leading thoughts leaders contributing, the book's content is fresh, easy to read, and applicable to any student interested in entrepreneurship. Divided into three separate yet related parts, it is designed to be a resource, a tool, a reference guide, and a source of wisdom for all those brave student souls willing to put their ideas into action in entrepreneurship classrooms around the world. 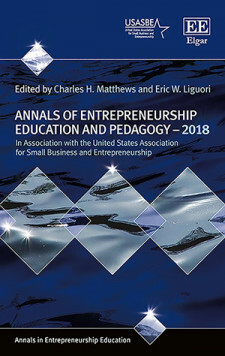 "Annals of Entrepreneurship Education and Pedagogy – 2018"
NACCE faculty: This may be a great resource for you! 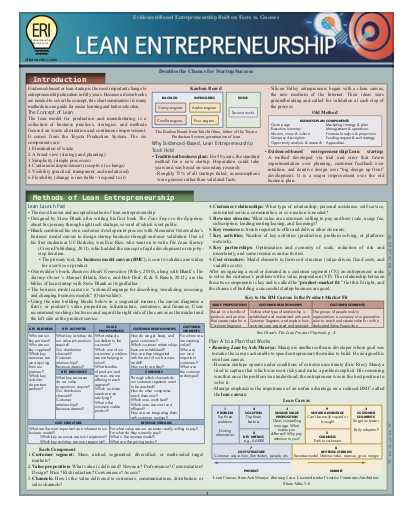 NACCE member, Clinton E. Day, MBA, AACSB Entrepreneurship Instructor, wrote this six-page, laminated chart which summarizes all 15 methods of evidenced-based, lean startup planning. "The evidenced-based, idea validation way of planning is the most important change to entrepreneurship in fifty years. It comes out of Silicon Valley where their new internet platform required a different way to do startup than a traditional business plan. This guide, which is the first and only summary of all methods/ strategies, double the chances for startup success. Using Steve Blank's customer development process and a canvas to build a business model, the actual buyers of the product or service (end-users) design the components. Companies like Uber, AirBnB, and Zappos succeeded because of positive feedback from early adopters." Click here to see more of Clint Day's books and resources. Additional entrepreneurship books and resources will be added in the future. If you have an item to suggest, please email us at info@nacce.com.